Clean, close to public transport, comfortable and multiple facilities included. Location was amazing , easy access to the whole city tram was near as well supermarkets pharmacy gym etc... Very nice apartments , excellent vibe and very comfortable. We liked the high ceilings in the room and the good location of the apartments. I have stayed many a times at the Edelhof. I always had a very comfortable room. I like the area where the apartment is located. Transportation is right around the corner. Everything was fine except the size of the room. The key was picked up over a keybox with a code and it worked without a problem. We actually arrived a little early and the room was still being cleaned, but we were able to drop our luggage off anyway and enjoy our day. The cleaning crew did a good job, everything was pretty clean. The mattresses were actually quite comfortable. The kitchen had everything that's needed for a week stay, which was awesome. The heating was not shared and we could crank it up during the coldest days, while watching the snow outside. The apartment also had a small outdoors private area which was a great surprise. It is in a good location. I liked the delivering of the appartment key. It is very simple. Everything else was very good. I enjoyed it very much. CheckVienna - Edelhof Apartments is located in a quiet one-way street in the district of Währing, a 10-minute tram ride from Vienna’s city center. 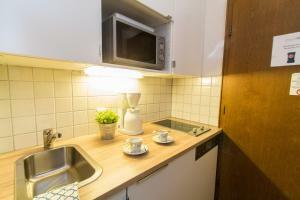 The spacious apartments include a kitchen or kitchenette, and free WiFi is available. Each of the elegant apartments features seating and dining areas, wooden floors, cable TV, and a bathroom with a hairdryer. A bakery is at the corner, and a supermarket is a 5-minute walk from CheckVienna - Edelhof Apartments. The large Türkenschanzpark is a 15-minute walk away. The Volksoper (opera house) and the Währingerstraße/Volksoper Underground Station (line U6) can be reached in a 7-minute walk, and the Kutschkergasse Tram Stop (lines 40 and 41) is just 3 minutes away. 18. Währing is a great choice for travelers interested in convenient public transportation, museums and monuments. 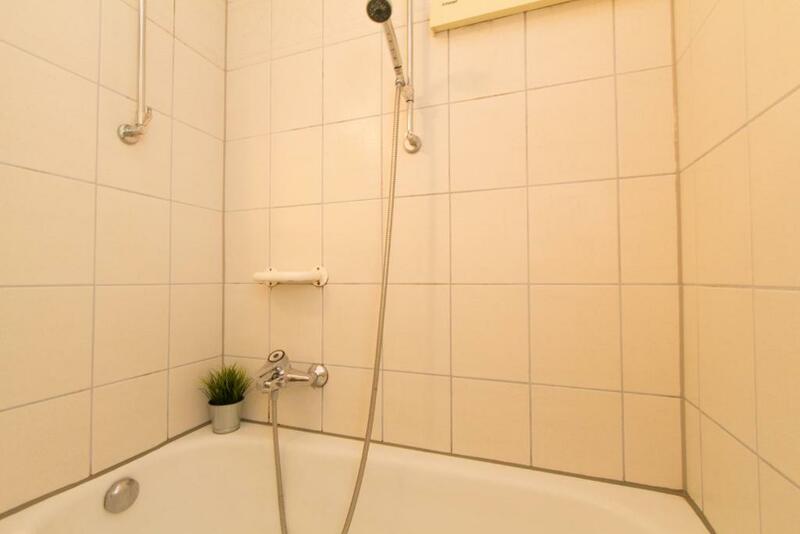 When would you like to stay at CheckVienna - Edelhof Apartments? 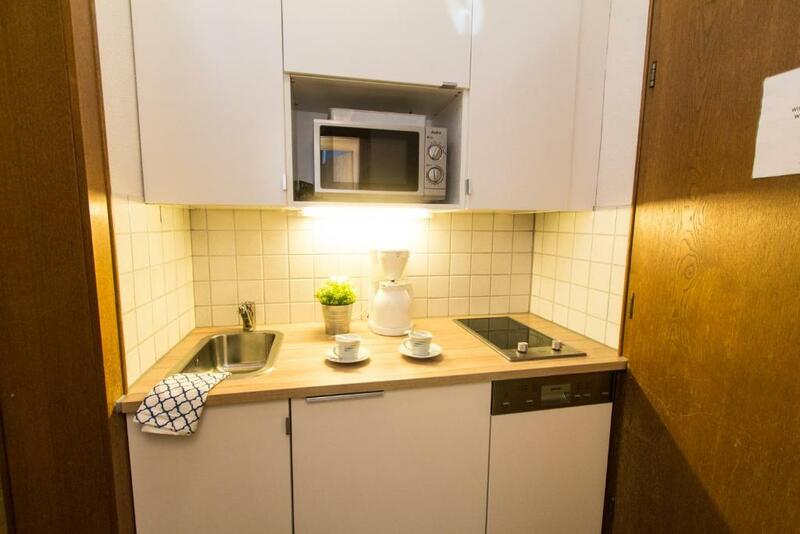 Studio with a kitchenette, cable TV, and a bathroom. Apartment with a bedroom, a kitchen, a living room with cable TV and a sofa bed, and a bathroom. Very spacious apartment with a bedroom, a kitchen, a living room with cable TV and a sofa bed, and a bathroom. 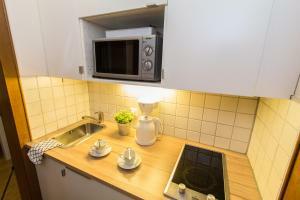 Apartment with 2 bedrooms (1 with a double bed, 1 with a single bed and a sofa bed), a kitchen, a living room with cable TV and a sofa bed, and a bathroom. 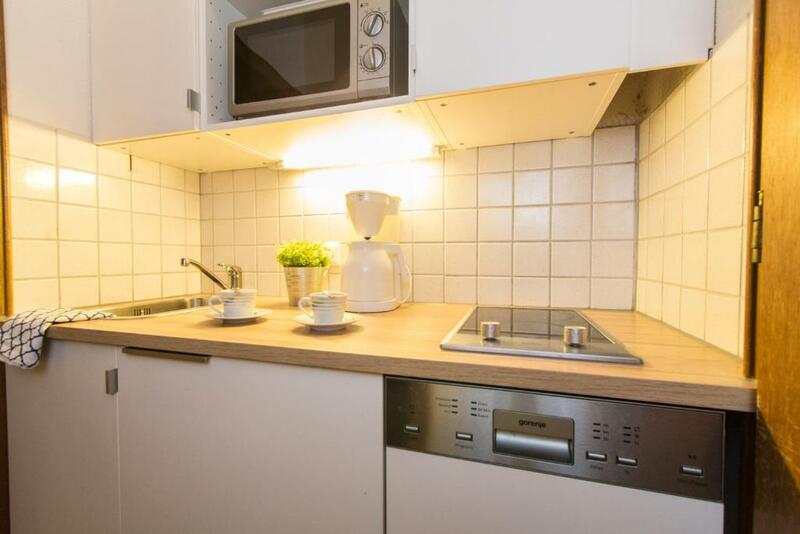 This twin room features a cable TV, toaster and microwave. 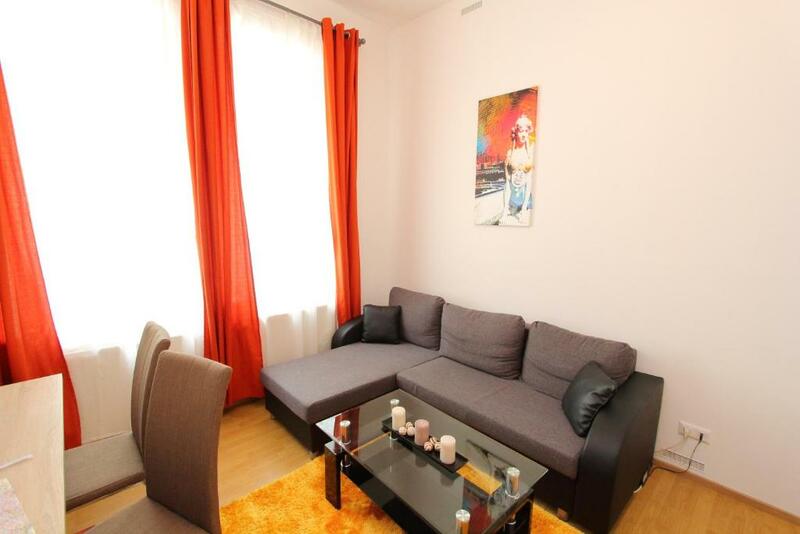 Our apartmenthouse is located in the heart of the 18th district of Vienna. The city centre can be reached within 15 minutes. There are many restaurants and bars in the neighbourhood. 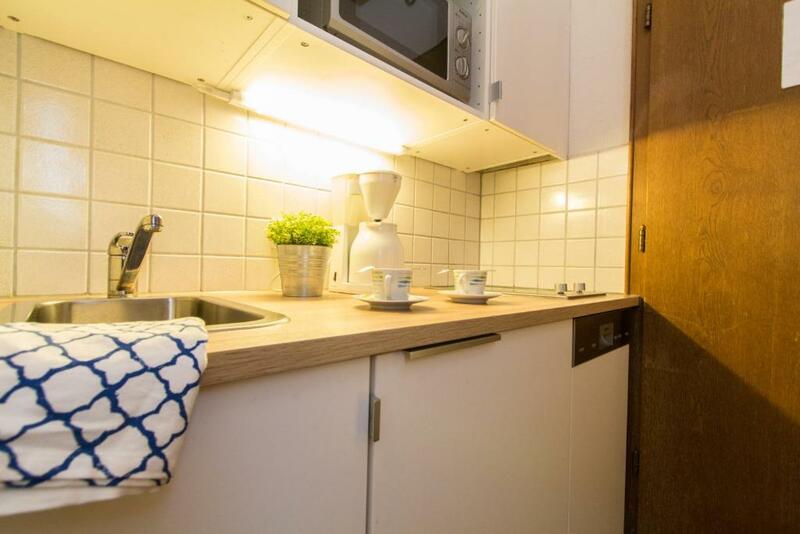 All apartments are fully equipped with a kitchen, free WiFi and an own bathroom. Area Info – This neighborhood is a great choice for travelers interested in convenient public transportation, museums and monuments – Check location Great location - show map Guests loved walking around the neighborhood! House Rules CheckVienna - Edelhof Apartments takes special requests – add in the next step! Please note that the property has no reception. After booking, you will receive a mail from the property with check-in details. Please also note that late check-in is only possible upon prior confirmation from the hotel. Contact details can be found on the booking confirmation. Please inform CheckVienna - Edelhof Apartments of your expected arrival time in advance. You can use the Special Requests box when booking, or contact the property directly using the contact details in your confirmation. It was a pleasant and comfortable stay at CheckVienna. There was a very good bed to have a rest after a busy day. I recommend it. The lighting in the bathroom could be slightly better - it is rather dim. But other than that, everything is perfect. We are extremely satisfied. There are great connections from/to the place by public transportation, making visiting Vienna very easy. The neighbourhood is interesting, with many small shops, pubs and restaurants. The place itself is lovely: an old building, very nicely adapted. The bathroom was rather small but it still had a tub so we could relax in the evening. The kitchen was well-equipped with everything we needed. There even is a washing machine and an iron. All in all, we had everything we needed. Our host was kind enough to let us leave our bags after checking out as we had a return bus in the evening. When we are in Vienna again, we will surely like to stay here again! I was there for about 2 weeks and the last few days, the WiFi wasn’t as reliable as it was when I checked in. Everything as expected, very comfortable and warm room, the host was very kind to let us check out 2 hours later. The building is fairly well maintained but it is old. Everything worked, nothing was a deal breaker, but several things had their own little quirks. For example, the apartment had an old fashioned boiler, which made all manner of hisses and noises at all hours of the day, it's quite distracting in the night. The bathroom was good, but the hot water wasn't great. It would go cold if someone turned on a tap somewhere else in the house, or come in waves of hot and cold water. The thermostat display was broken so we couldn't control the heating, it was on full the whole time. In one room, it got a little too warm while sleeping so we had to turn on the pedestal fan (comes with the house). In the other room, the room got chilly in the night and we had to use the electric heater (also comes with the house). Also, the only English channels subscribed to on the television are news channels, but this was pretty standard across all the places we stayed at in Austria. It was a fairly big apartment, the beds were very comfortable. The kitchen was well equipped (stove, oven, microwave, kettle, toaster etc). The house also came with an ironing board, vacuum, washing machine, TV, and plenty of closet space, two fans and a spare electric heater. Check-in was easy and seamless, get a number code by email and enter that into a lockbox. The house was very clean, with fairly basic sheets and towels. 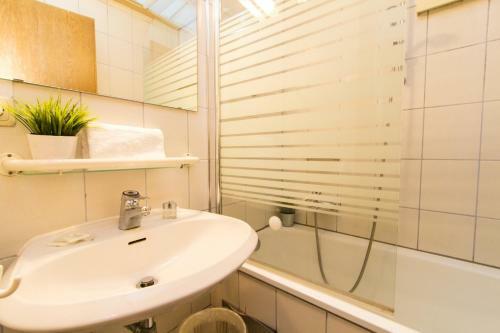 The location is pretty good, there's a tram stop 200m away and a u-bahn station 700m away. It's about a 20 mind ride to the city center. There seemed to be a fair number of shops, cafes and restaurants around, but we were there around Christmas time and everything was shut. All in all, good value for money for a group of people. Well managed property and easy check in. There was no heating in the toilet (bathroom and toilet were in seperate places), but with opened doors during unused times, it was acceptable. The keys were handed by a machine, everything was perfect and clean. 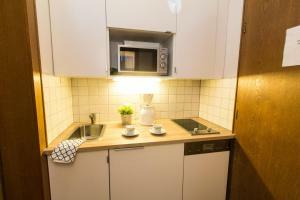 The place is close to public transport, easy access to city center. Supermarkets are also near, and they gave a free Vienna map as well! The photo on the booking confirmation was of another larger apartment in the same building while the actual one was extremely small. The Staff need improvement made, contact on Saturday saying there was no plug for the kitchen sink to wash dishes and was advised to just wash them under running water, this is very unhygienic as it is hard to use detergent doing this and it was a concern as to how well the dishes were cleaned prior to entry. There was food left in the fridge from the previous tenant that I had to dispose of, like a half eaten sandwich, 1 pikelet on a plate so not sure how well the apartment was cleaned seeing as this was missed. The small foyer area outside our apartment was filthy with rubbish sitting there the whole 4 days we were there. The place needs a good clean. The heaters didn't heat up to be of any value. I did not see 1 Staff member the whole 4 days which is very unwelcoming. Nothing to say how to leave the building. The property was a bit dated and furniture seemed a random collection. The utensils available in the kitchen were not complete, one apartment did not have any spoons. The beds and sofa beds were very comfy and it did what the description said. Absolutely fine for a couple of nights. First of all there is no instructions and the entrance keyboard not working all times , secondly we asked for a double bed and we took 2 singles , third we find in the bedroom underwear of other people everywhere there are spiders ! Horrible ! Nothing ! The only ok is that the Tram station is 150m away for 40-41 line ! Good location, everything I needed was within walking distance or easy to get to using the bus. Property clean . Large apartment would suit a large group but only 1 wc . Bathrooms only adequate - like 2 cubicles . Kitchen poorly equipped( no cooking spoon - one damaged one , no grater , strainer etc etc) general decor needs updating. Heating was not working on arrival though engineer was sent out promptly at midnight .